Anubis represents the divine principle of the right sense of direction. The dog embodies the essence of spiritual guidance. Anubis is often shown as the dog/jackal, or as a human figure with the head of a dog/jackal. The dog/jackal is famous for its reliable homing instinct, day or night. The dog is very useful in searches, and is the animal of choice to guide the blind. As such, it is an excellent choice for guiding the soul of the deceased through the regions of the Duat. This symbolic expression of deep spiritual understanding was presented in two main forms for Anubis: animal-headed human,s or a pure animal form, as we see here. When a total animal is presented in Ancient Egypt, it represents a particular function/attribute in its purest form. When an animal-headed figure is presented, it conveys that particular function/attribute in the human being. Various associated attributes are all related to the dog. There are several forms of dogs/jackal, shown in various positions in various contexts. The specific attribute will be determined by the context. – In our return to our divine origin, we each need a guide/guiding angel that we can trust to lead us on the right direction. This Path Finder is Anubis who represents the right sense of direction—the Divine Guide. The Path Finder is embodied in Anubis as a DoG. DoG is the reverse for GoD—from the world of matter to the world of spirit. The dog/jackal is famous for its reliable homing instinct, day or night. As such, it is an excellent choice for guiding the soul of the deceased through the regions of the Duat. – The metaphysical role of Anubis, the dog, is reflected in his diet. The dog/jackal feasts on carrion, turning it into beneficial nourishment. In other words, Anubis represents the capacity to turn waste into useful food for the body (and soul) as in the alchemical way of transforming lead into gold. – The absolute sense of loyalty is embodied into the dog, who is depicted leading the soul of the deceased in the Hall of Judgment where he also ensures accuracy in the symbolic the process of weighing the heart. Anubis represents the right sense of direction in whatever we do, absolute loyalty, and the capacity to turn lead (carrion) into gold (worthiness). – Anubis also represents the Truth Finder. 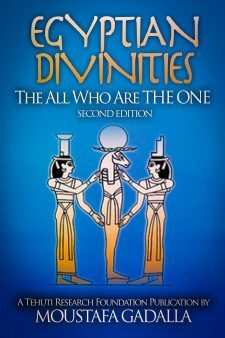 In the Isis/Osiris Allegory, it is Anubis that helps Isis find the scattered pieces of Osiris, as the Manifestor of the Truth. To find the broken pieces so as to bind them together is the essence of Religion. The origin of the word Re-ligio-n is the “Latin” Religio, which means to bind together. 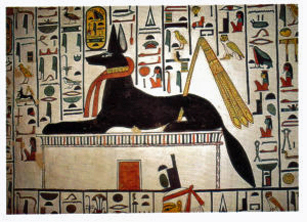 a. Anubis as the Dog Star is always shown leading the arks in their voyages toward the Divine. As such, Anubis represents the Divine Guide. Sirius, the Dog Star, is the dwelling place of the universal mother Isis. 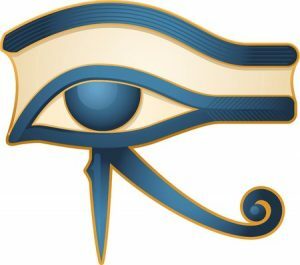 During the very remote periods of the Ancient Egyptian history, Isis was associated with the star Sabt (Sirius), the brightest star in heaven, which was called, like her, the Great Provider; and whose annual rising ushered in the Nile’s inundation. of having to do with Sirius, the Dog Star. Designating or of an Ancient Egyptian cycle or period of time based on a fixed year. Let the Anubis attributes within you guide you in the right direction.